Caricaturist nearly runs out of ink! An extremely fine moustache – a pleasure to draw. It’s always a pleasure to draw guests at weddings but even more so when presented with an extremely fine beard and moustache such as this. I was worried that I might run out of ink!!! 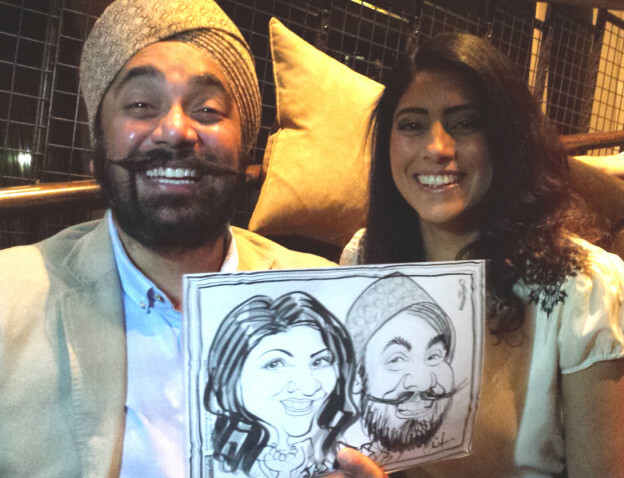 This entry was posted in on the spot caricatures, Wedding caricatures and tagged caricature, moustache, Weddings on March 5, 2015 by Christopher Murphy Studio.